and the title for STALKING JACK THE RIPPER 4 is…..
CAPTURING THE DEVIL and it’s scheduled to hit shelves on 9/26/19!!!!!!! Stalking Jack the Ripper ebook deal + Pre-order prizes and more! oh happy day! 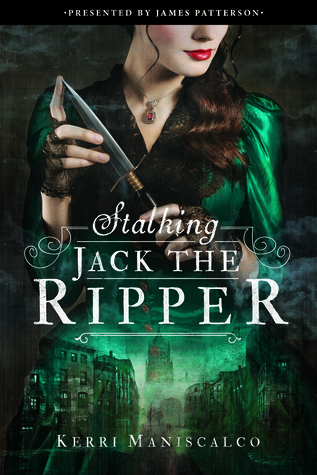 STALKING JACK THE RIPPER is on sale for $2.99 today! you can snag an ebook from any online retailer for that price, so if you know a friend who might enjoy reading it, please do share the information with them! i’ll post quick links in the bottom of this post for anyone who’s interested in passing it along. the US pre-order prizes have been announced and i’m beyond thrilled by the overwhelmingly excited response to the custom tarot cards. currently i’m hosting an epic international pre-order contest that’s open to anyone anywhere in the world. the prizes were handpicked by me and are inspired by the Moonlight Carnival, the mysterious and dangerous carnival traveling to America with Audrey Rose and Thomas. Barnes & Noble currently has two hardcovers available. One is the version that will be sold everywhere, and the second is the exclusive edition that features a bonus chapter. Signed editions will also be available–an announcement on where to snag one is coming soon! When we first read Shakespeare’s Julius Caesar in high school, one of the minor characters I was IMMEDIATELY taken with was the soothsayer. He utters the cryptic line, “Beware the Ides of March,” and to this day I can’t help saying it in an overly dramatic/ominous tone. It was such a small, but significant detail. And the creepy factor? My goodness. Having someone run up and say something awful is going down on a certain date really drums up a little heart-pounding fear. Will Caesar heed his warning? Has his fate been predetermined? We know the outcome LONG before going into it that it doesn’t end well for Caesar, but the soothsayer still added an underlying tone of suspense. What does ANY of this have to do with my teaser Tuesday? Well. Today is the Ides of March, friends. *insert scary music* Since my book is rather on the creepy/gothic side, I’d like to share one of my favorite lines from Stalking Jack the Ripper. It’s from a scene where Audrey Rose promises to be “as silent as the dead” while attending her uncle’s forensic class in disguise. Hope you enjoy it! Oh! I do have some VERY EXCITING news coming your way in the next week or two. I’m just saying, maybe some other kind of artwork is involved…. STALKING JACK THE RIPPER made the 2016 BEA Buzz Panel! We got the news a few weeks ago that STALKING JACK THE RIPPER had made this year’s BEA YA Buzz Panel, and it has been SUPER hard keeping this kind of secret from everyone. I’ve gotten a few questions from people outside of the industry about what it all means, and am posting some answers taken directly from the press release. What is BEA, exactly? BookExpo America (BEA) is North America’s largest gathering of book trade professionals attracting an international audience. The event is widely known as an ideal place for content creators, media, booksellers, rights professionals, and movie and television executives to meet new authors, discover new books, learn about trends shaping the book industry, and network with those who have a passion for books and reading. BEA is foremost a gathering place for creative writers and thinkers and the commerce they create. It is recognized for the media attention it brings to upcoming books as well as for the notable authors it attracts to the convention itself. BEA is organized with the support of association partners including the Association of American Publishers (AAP) and the American Booksellers Association (ABA). BEA Buzz has a powerful track record of predicting the year’s hottest books, selecting nine titles over the past two years that made it onto the The New York Times Best Sellers list. How are the books chosen? The selection process was made by three separate committees of booksellers, librarians and other industry professionals. BEA officials note that the intensive selection process, which takes place over a two and a half month period, always involves passionate debate over the finalists. The selection committees are purposely designed to achieve the widest possible consensus. So yeah. Totally. Blown. Away. I cannot believe that my book made the panel, and will probably be pinching myself for the rest of my life. Thank you so much to Barbara Poelle, Jenny Bak, and JIMMY patterson books for taking a chance on a gothic story about a determined girl who takes on Jack the Ripper. See you all in Chicago this May! Hello, lovely friends. The last few months have been a complete whirlwind of activity, and I’m sorry for being so neglectful. When my agent said to prepare for the accelerated timeline, she wasn’t kidding. BUT! I wouldn’t have it any other way. So far we’ve gone through edits and copyedits are coming at the end of the week, and cover art concepts just arrived, and interior page design flailing occurred, and the wonderful publicity team has a bunch of insanely cool events planned for the coming months, and…we have an official release date! This is all A LOT considering OF BLOOD AND SHADOW only sold this past October. It speaks volumes to the team working behind my book that so much has happened already. Words fail with describing how grateful I am to have them on my side. Originally, we had an estimate of pubbing OF BLOOD AND SHADOW in October 2016, but with all the hard work from my editor and everyone at jimmy patterson and Little, Brown, we are hitting bookshelves on…. I still can’t believe this is real, but with ARCs coming soon and everything that’s quickly following, my excitement is through the interwebs roof. Since I can’t share the striking new title or jacket copy yet, I wanted to give you a sneak peek at my first ever Teaser Tuesday. Hope you enjoy this snippet and stay tuned…lots more announcements, giveaways, and teasers will be coming your way shortly. Click here to add OF BLOOD AND SHADOW to goodreads. 5 words, 14 letters…I HAVE A BOOK DEAL! I’m still shamefully ineloquent right now, so please forgive this rambling mess of emotions. This is a post I’ve been dreaming of, patiently waiting for five years (including query trench time) and (more than) a handful of books later to write. It will be told with a series of accompanying gifs because that’s kinda how I roll. Guys? I have a book deal. Holy state of denial, Batman. Maybe I should say that to myself again, a little louder this time to be sure: I HAVE A BOOK DEAL. Ever the reasonable one, Anita assured me that still wasn’t a thing. So now I’m back to quietly repeating my mantra. I cannot believe it’s happening. Like seriously…what dream world did I teleport to and how long can I stay?! This is what it says: Jenny Bak at Jimmy Patterson Books has bought a YA novel called Of Blood and Shadow by Kerri Maniscalco. The debut gothic thriller, inspired by the Ripper murders, is about a Victorian-era lord’s daughter who defies society expectations by secretly apprenticing as a forensics examiner, and soon finds herself embroiled in the investigation of a serial killer who is stalking London’s East End. The book is scheduled for fall 2016; Barbara Poelle at Irene Goodman Literary Agency negotiated the deal for world English rights. So yeah. It’s really real. I’m not sure I’ll ever wrap my brain around that, and honestly? I hope I never do. This is such an incredible blessing. Thank you to my family, loved ones, friends, and all of my writing pals (#goatposse) and critique partners and beta readers and agent siblings. And to my superhero/agent goddess, Barbara Poelle, for making this insane dream come true. And a BIG THANK YOU to my editor. *waves* Hi Jenny! I am ridiculously excited for what comes next! Also, I am so grateful and beyond words thrilled to be on this journey with James Patterson and the entire team at JIMMY Patterson Books and Little, Brown. You guys are total dream makers. Thank you forever. OF BLOOD AND SHADOW is in the best possible hands and I cannot wait to share these characters and this world with all of you next Fall, dear readers and friends. And now? WE DRINK CHAMPAGNE AND DANCE. OR DANCE IN OUR CHAMPAGNE. EITHER WAY WE’RE DANCING AND CHAMPAGNE IS INVOLVED! Click here to add OF BLOOD AND SHADOW on goodreads!